Most folks agree the 2018-’19 duck season has been challenging, especially for Southern hunters battling wet conditions and waiting for a migration that seemingly never arrived. And now, we can see the end, as only a few days of hunting remain. A cynic might welcome the finish line, anticipating much-needed rest and an end to frustration. But most duck hunters remain optimistic through trying times, knowing perseverance and hard work will eventually pay off. In that spirit, consider these tips to finish duck season in fine fashion. Even during the leanest seasons, when bird numbers seem beyond poor, hidden hotspots near you will hold ducks. Maybe it’s an almost-inaccessible backwater off a raging river. Perhaps it’s a freshly flooded pasture or ag field. Or some birds might have found a tiny patch of timber far from human eyes. Whatever the case, ducks love these untouched spots because they can feed, loaf, rest and even roost without being harassed by hunters. Resolve to find one of these areas. To do so, you’ll have to forsake a few hunts and pour more effort into scouting. Your mission might involve lots of maps, Google Earth, windshield time, boot leather or hours in the boat — or likely a combination. Whatever the case, focus on eliminating unproductive areas and locating spots no one else has identified. That might take days or even a week, and you’ll miss some hunting time with your buddies. But if you eventually locate a remote honey hole, you can finish the campaign with flair instead of staring at dead water for the umpteenth consecutive day. That’s a pretty enticing gamble. Don’t be stubborn. If your tried-and-true tactics aren’t working with stale, pressured ducks, switch things up. Critique your decoy spread. Is it realistic, or do you just throw the same four-dozen blocks out time after time because conventional wisdom calls for that approach? Reinvent your calling. If ducks aren’t buying your standard tactics, call less. Or call more. Just try something different to see how birds respond. Hunt more during midday or afternoon, when other hunters have packed it in. If nothing else, simply hunting longer will usually net you another bird or two. Try new spots, even if only for the sake of testing fresh areas. This lets you learn the intricacies of unfamiliar ground and boosts your odds of stumbling onto hidden pods of birds. Above all, don’t get locked into stale, unsuccessful approaches. Pull a 180, and see what happens. You have little to lose. As amateur meteorologists, waterfowlers can usually predict when a weather system will bring fresh birds or at least make ducks and geese move. When this happens, don’t miss out. Take an extra day of vacation. Reschedule your doctor’s appointment. Just make sure you’re in the marsh or woods when weather stirs things up, and then hunt as long as possible. Of course, forecasts don’t always hold true, and even seemingly promising fronts won’t produce new ducks 100 percent of the time. But you won’t know unless you’re on the water watching decoys. Don’t wait to hear reports from your buddies after the fact. Identify high-percentage days, rearrange your schedule so you can hunt and then let the dice fly. Sometimes, duck hunters concentrate on a specific species or approach. Many Southern hunters want mallards in the timber — period. Some Northern guys insist on big-water bluebills, forsaking other hunts. That tunnel-vision focus works well when the flight is in and ducks abound. Other times, it just leads to frustration. Don’t be picky. If green timber isn’t producing, hit an impoundment or river. Chase wood ducks or divers. Or hunt specks. When the big water goes stale, jump-shoot creeks, or find a field of honkers. 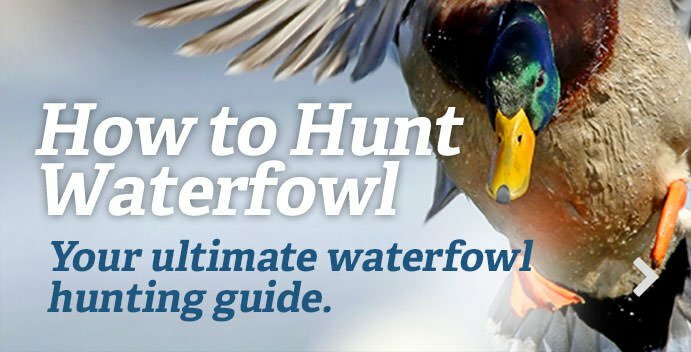 Identify any waterfowl opportunities, and refocus your efforts. Enjoying a bit of success — even if it doesn’t involve your favorite birds or haunts — puts the fun back into hunting. The surest path to empty straps involves leaving your waders in the garage and your boat in the driveway. That is, you cannot get ducks if you don’t hunt. Sure, difficult seasons can drain you physically and emotionally. And if you’re honest, you realize that constant effort without success becomes stressful, not enjoyable. But as a wise man once said, if you’re worried about not getting ducks, don’t walk out your front door in the morning. Wild birds offer no promises — certainly no surety. You might not fire your gun. Some days, you won’t see a duck. That, however, is part of the deal. Embrace the challenge. Go duck hunting because you enjoy it. You only get so many days afield, so make them count. Sure, you might fall short and spend spring and summer griping about the poor season past. But at least you won’t hold any guilt about quitting early.